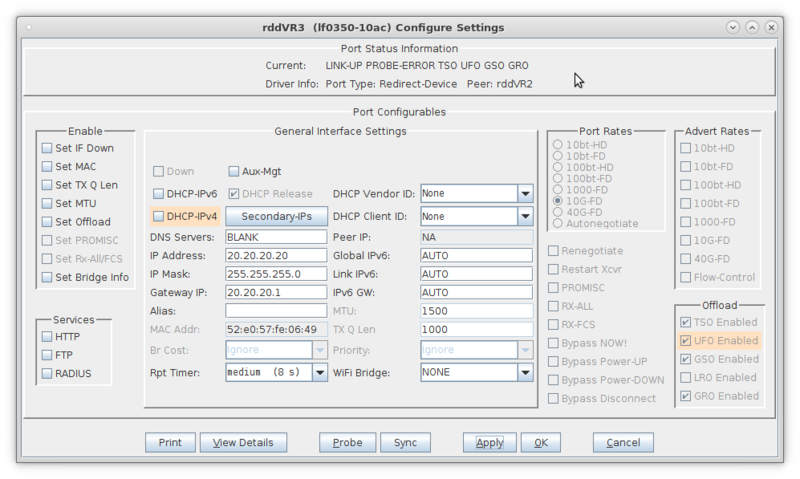 Goal: Setup a Virtual Router with one interface performing NAT on outgoing traffic. 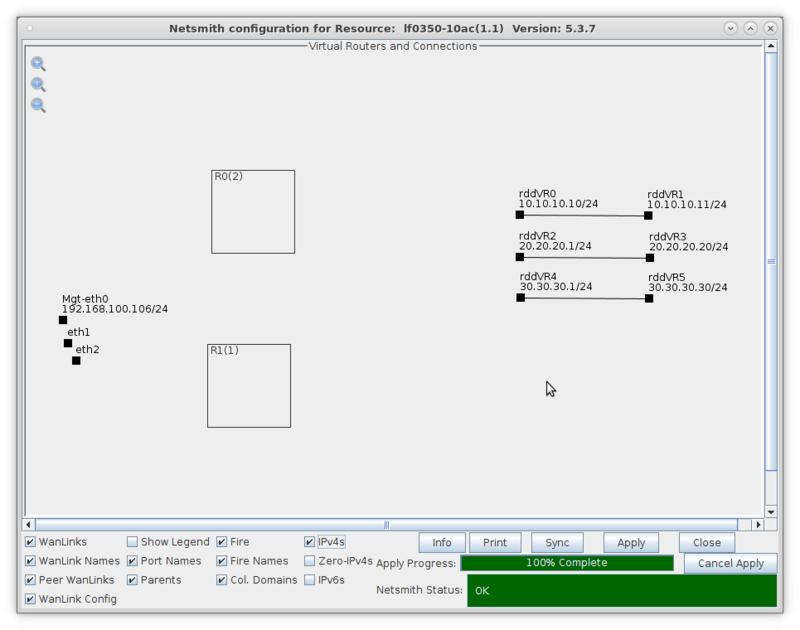 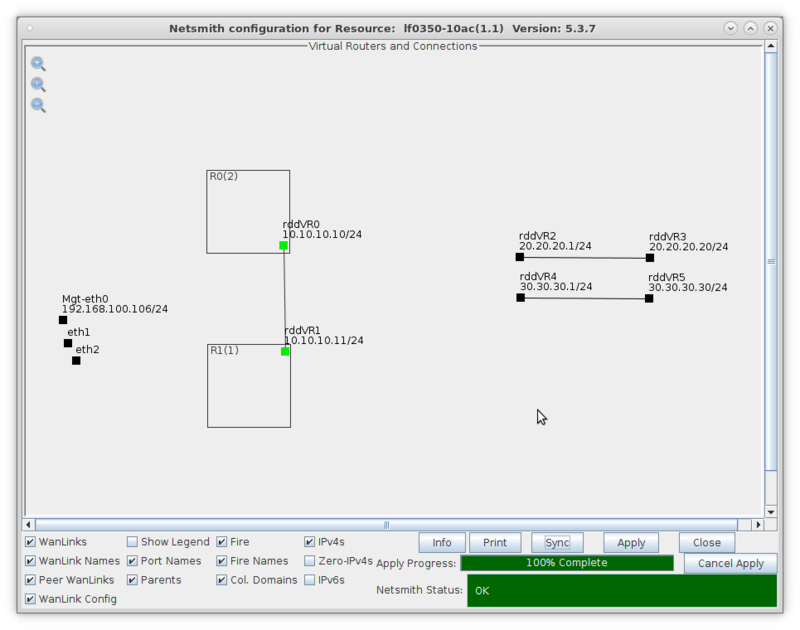 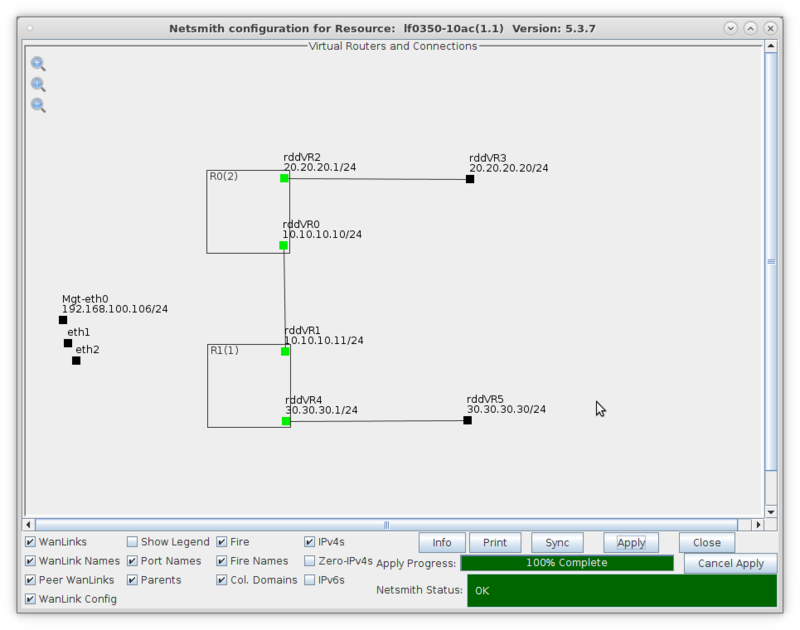 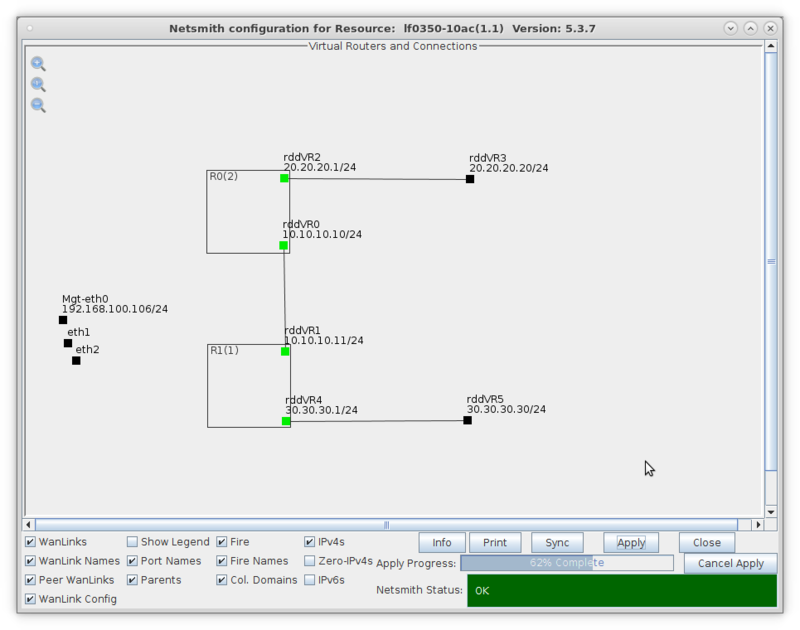 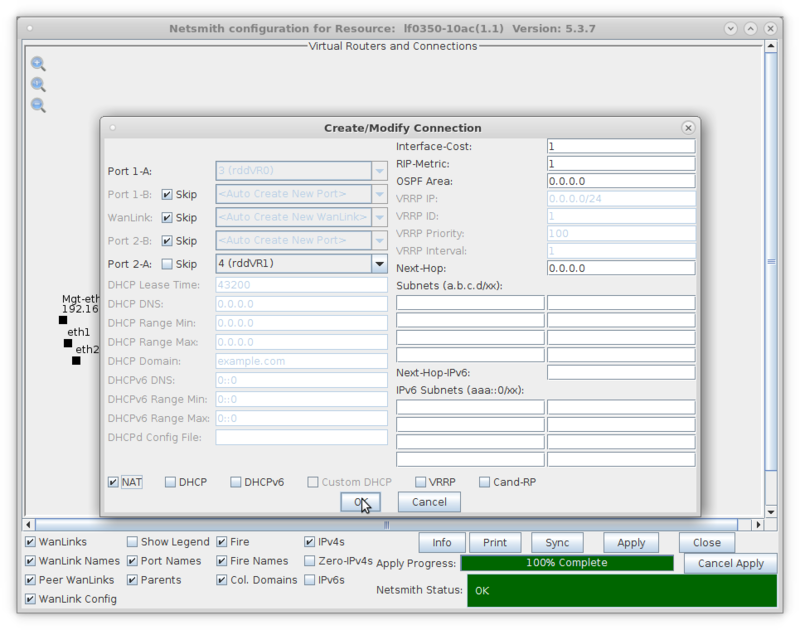 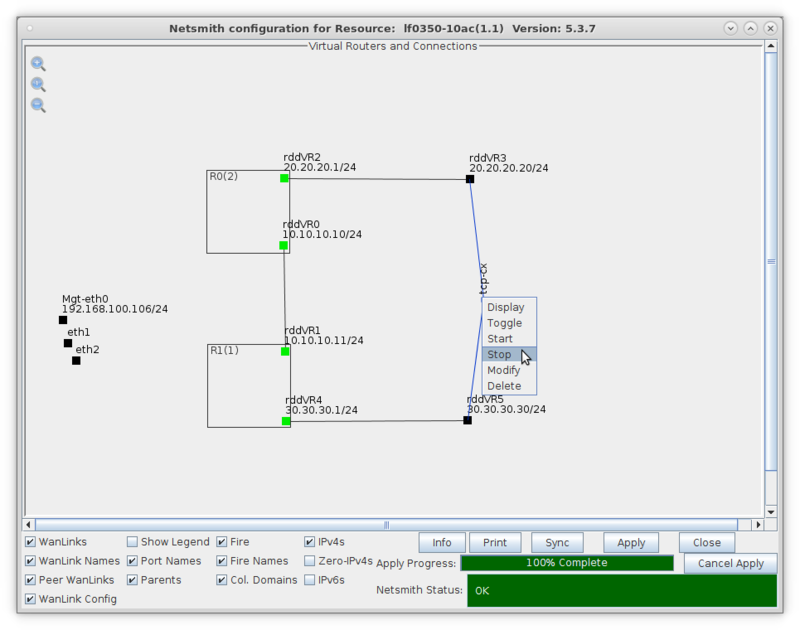 In this test scenario, a pair of Virtual Routers are connected with a Redirected Interface connection with one side of the connection performing NAT on outgoing traffic. 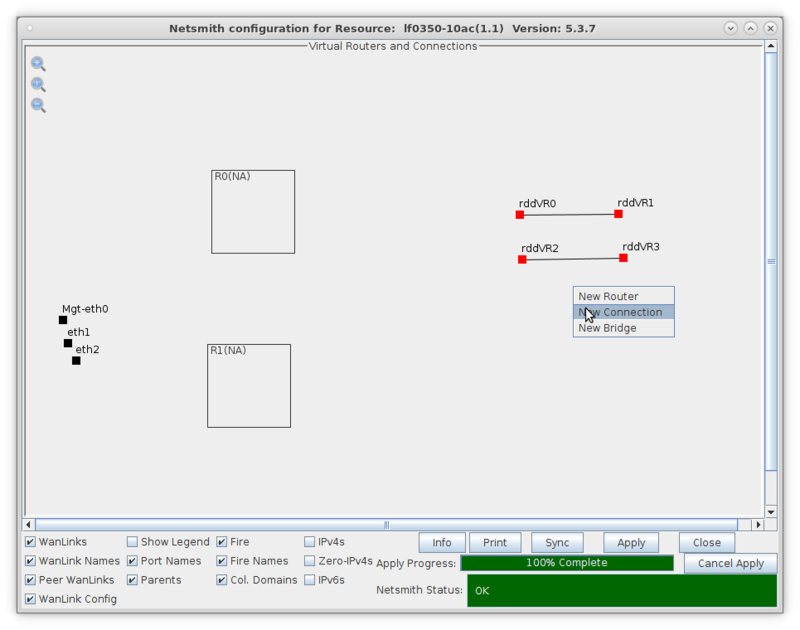 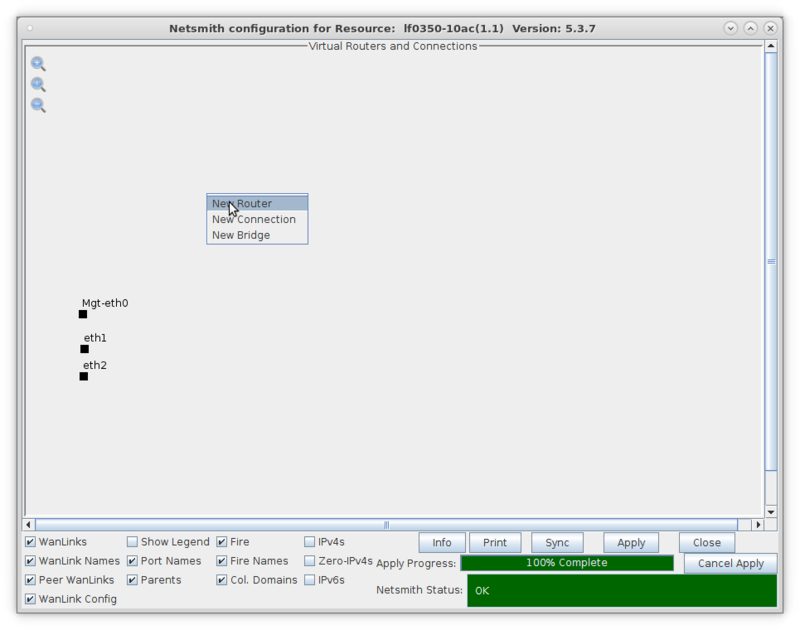 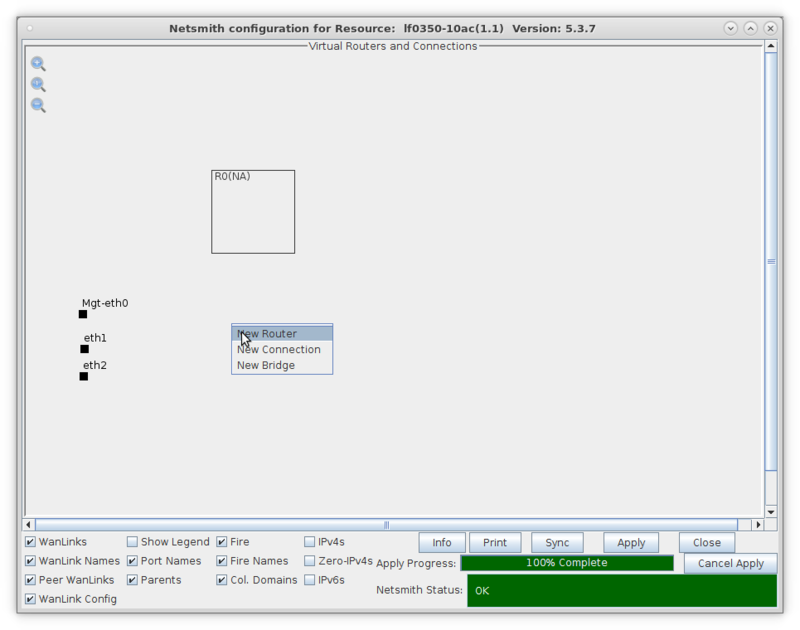 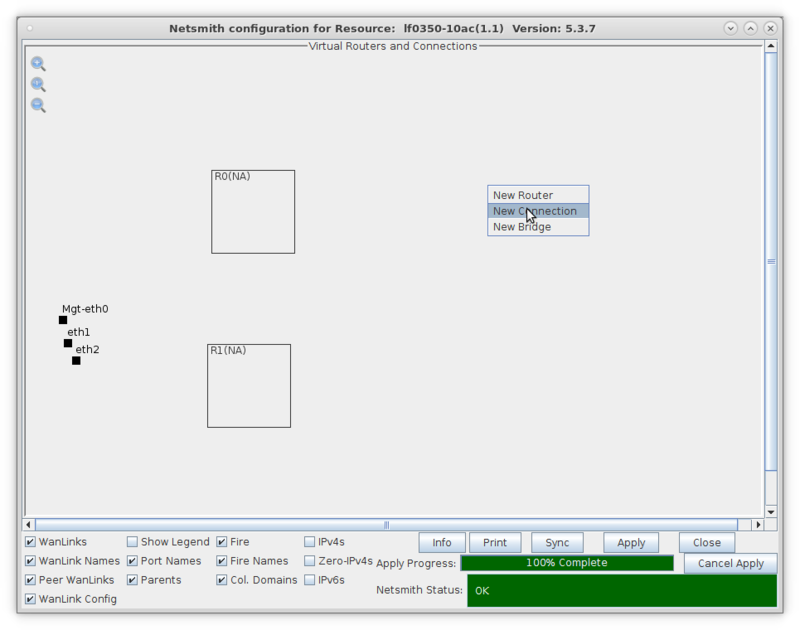 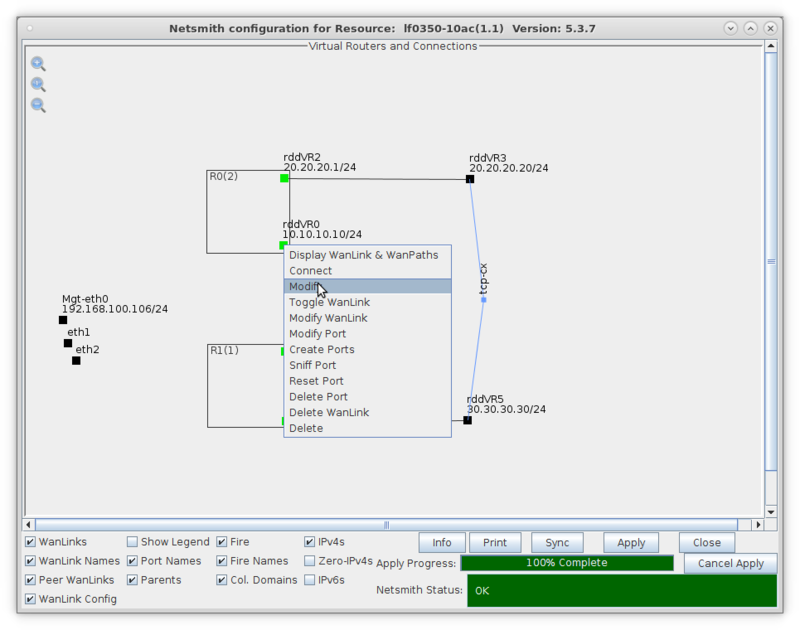 Two additional Redirected Interface connections are configured to pass traffic and demonstrate NAT. 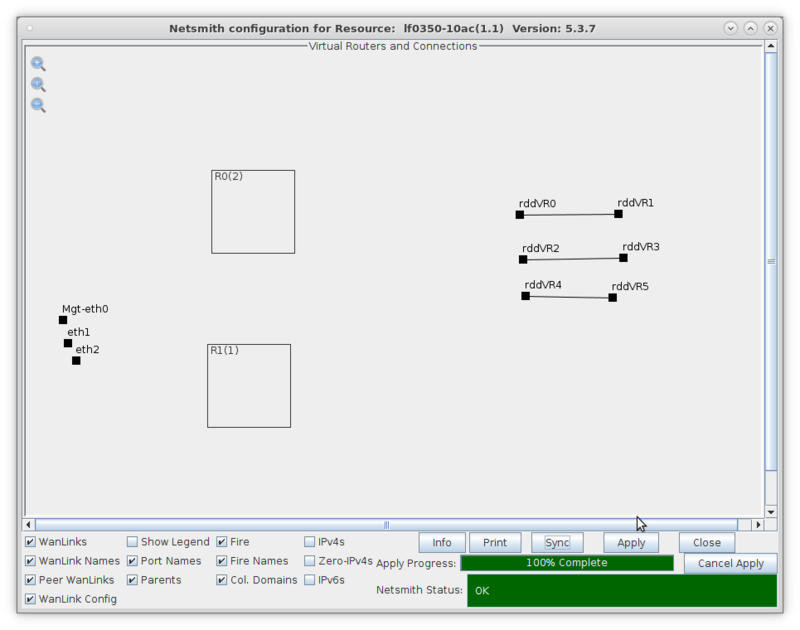 Setup two Virtual Routers and three Netsmith Connections. 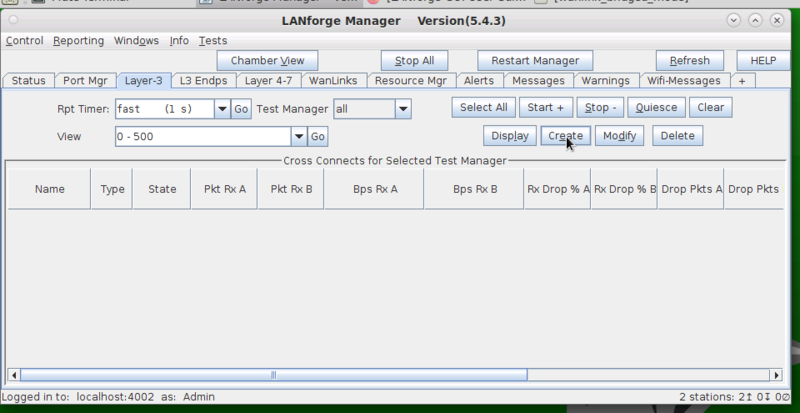 Move the Redirected Interfaces into their desired positions. 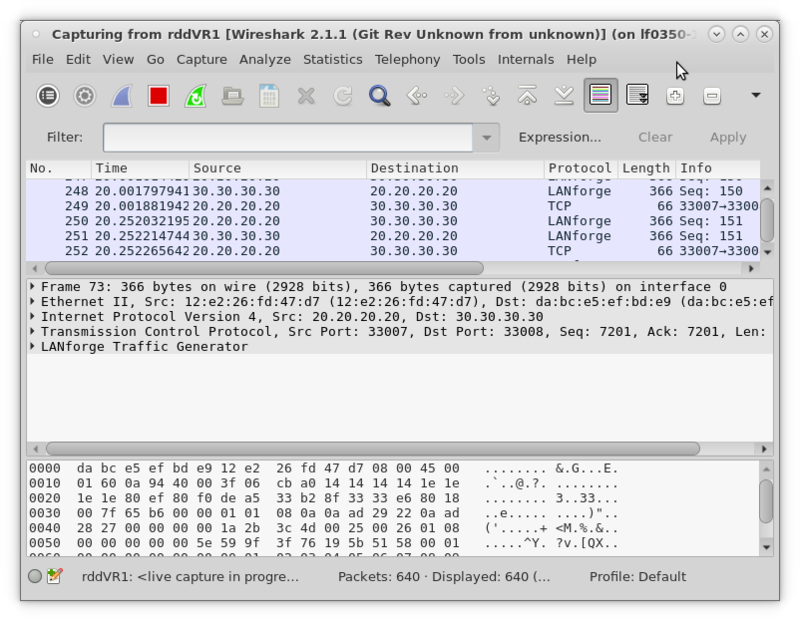 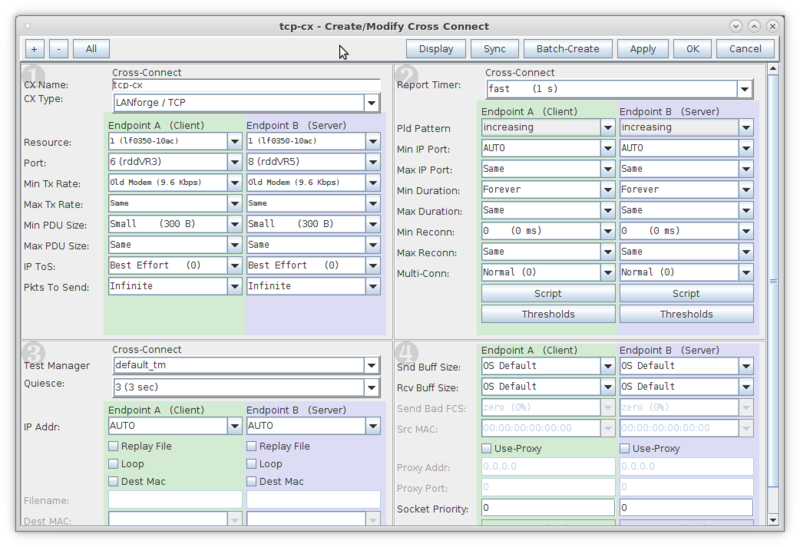 Create a TCP connection and sniff traffic without NAT. 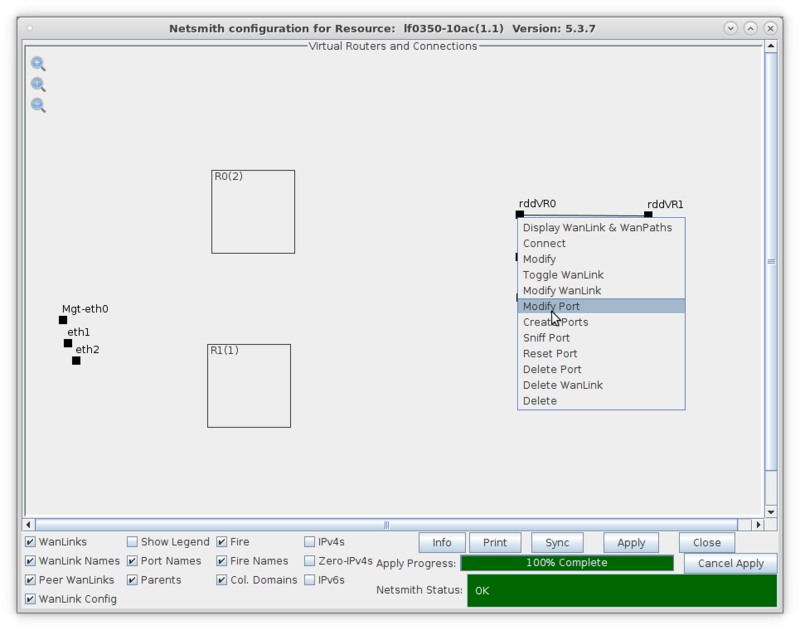 Enable NAT and sniff traffic on the same port. 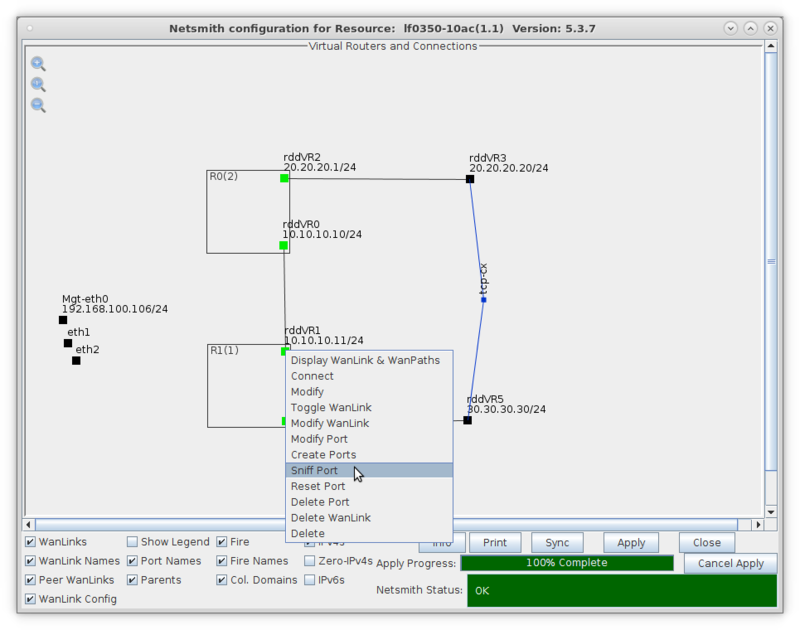 NOTE It is important that Endpoint-A of the connection is behind the NAT port because it is the side that initiates the connection. Reversing the endpoint ports will cause the connection to fail.